A longtime member of the Society of Manufacturing Engineers with a resume that spans four states, three universities and two major corporations, John Kovalchuck still regards the arbor press that sits on the shelf in his South Campus office as the most symbolic item of his career. A textbook example of where apprenticeships can lead, Kovalchuck’s son John was an apprentice mold maker before earning two associate degrees from Macomb, a bachelor’s degree from Ferris State University and a master’s degree in business from Oakland University. He now works as an applications engineer for Makino Industries, traveling the world on behalf of the company. Kovalchuck’s own career started with a Bachelor’s Degree in Industrial Arts from the State University of New York at Oswego and a Master’s Degree in Vocational Education from the University of Wisconsin – Stout. He taught high school shop in Chicago, was Manufacturing and Machine Design program director at Bowling Green State University, Firelands Campus, taught CNC and manufacturing technology classes at Western Illinois University and was a CNC consultant for Southern Illinois University. A position as a CNC applications engineer in the General Motors Die Management group brought him and his family to Michigan, which was followed by a position as superintendent of the Ford Motor Company Tool and Die Machining Department. At both GM and Ford, Kovalchuck led CAD CAM conversion teams, troubleshooting problems with the industry’s newest tool and die processes. 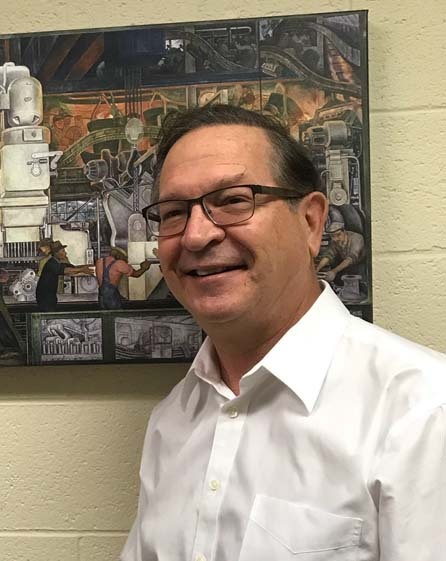 Although Kovalchuck joined Macomb to teach workforce development classes five years ago, he has been the chief instructor in the Michigan Apprenticeship Program Plus (MAP+) for the past two. The U.S. Dept. of Labor-funded program, which casts a new light on career opportunities in the skilled trades, won Automation Alley’s 2016 Outstanding Educational Initiative Award. Eldonna May took piano lessons at five, studied with the Detroit Symphony Orchestra, attended the Interlochen Arts Academy and toured Europe with the Ford Motor Youth Symphony. But it would be on a different set of keys, and on a different continent, that she would engage in some of the most meaningful work of her career. May holds a bachelor’s degree in music performance, a master’s degree in musicology and an MBA from Wayne State University, a Ph.D. in musicology from Michigan State University and a Ph.D. in online teaching from Florida State University. Also on the music faculty at Wayne State, May teaches World Music and Introduction to the Arts at Macomb, online and on campus. But she may never have been if not for a lecture she heard as an undergrad on the history behind Richard Strauss’ musical adaptation of Oscar Wilde’s play Salome, which convinced her to change her musical direction from performance-driven to scholarly study. That, in turn, led to her discovery of kwaito, a music genre with ties to hip-hop and jazz, popular in Botswana, Africa. May has just completed a year of research there on a Fulbright Fellowship – as prestigious and competitive in academia as the Oscar is in Hollywood. The Fulbright covered all of the travel and living expenses for what was May’s fifth trip to Africa. 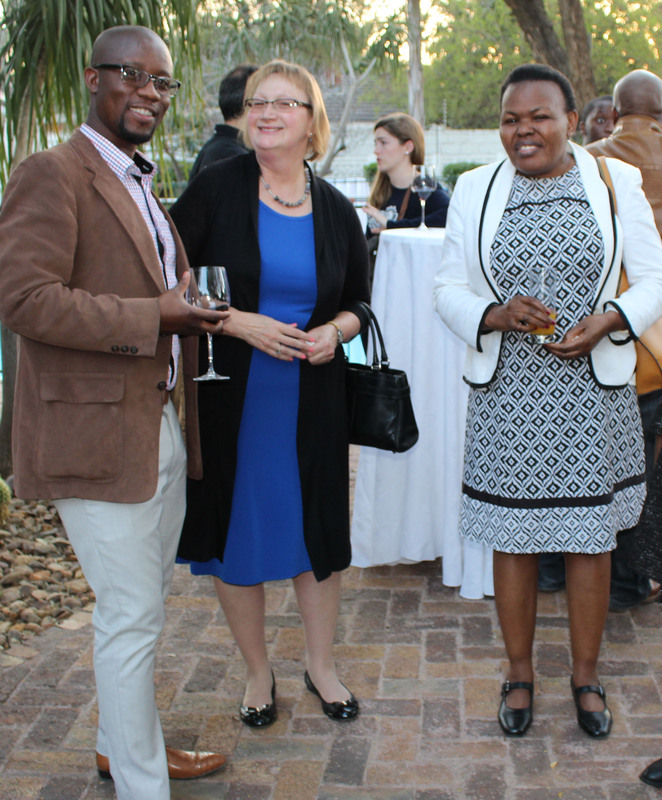 At Botho, she developed a curriculum for the university’s new music business program and embarked upon a book project about kwaito with one of its faculty. A 1905 upright piano held a prominent place in the living room of the home Todd Moses grew up in. It was his great uncle’s and he started playing it when he was eight, following the fingertips of older siblings. But it wasn’t until he joined the Macombers that he discovered the harmony he had been looking for. Fast forward through 30 years and several teaching posts and Moses is now poised, with baton in hand, to help other Macomb students make the same discovery. The Macombers are Macomb’s singing and dancing troupe that perform throughout the state as well as in twice annual “extravaganzas,” the proceeds of which fund scholarships for the troupe’s members. Moses was encouraged to tryout while in the Magic Company, the College’s high school choral group. 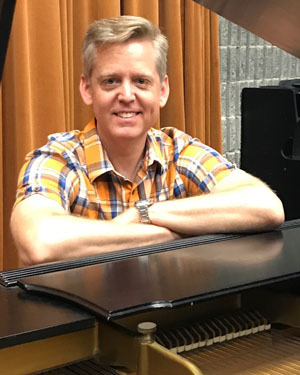 Passing that audition in 1986 was nearly as exciting as learning in May that he had gotten the job as Macomb’s new music instructor and director of choral activities at Macomb, which includes directing the Macombers. Moses earned a bachelor’s degree in music education/voice from Ball State University and a master’s degree in teaching from Saginaw Valley State University. Throughout his career, he has continued to stay active with Macomb’s choral groups. He has performed with InVoice, a group of Macombers alumni, and has codirected Garfield Singers, the College’s middle school/junior high choral group. But returning to Macomb as a faculty member is about as meaningful as when he moved that 1905 upright piano into his own living room and began teaching his daughter on it. Macomb, after all, is where Moses met his wife, Liz, a fellow music educator and Macomber alum. Macomb is where he is teaching and directing many of his former Dakota music students, including daughter, Bethany, a second-year Macomber who will be continuing her music education at Brigham Young University next year. And Macomb is where he will be able to share with aspiring music educators and performers what he believes is the most important lesson they will ever learn. Her students may not know that Heather Mayernik provides a safe haven each summer to migrating monarchs, but they benefit as much from her experience and enthusiasm as the butterflies the reading professor nurtures on milkweed in her backyard. Mayernik’s most valued mentor was the Oakland University professor who helped her navigate academic protocols after exiting the university several years before with enough credits for a master’s in Reading and Language Arts, but without the actual degree. 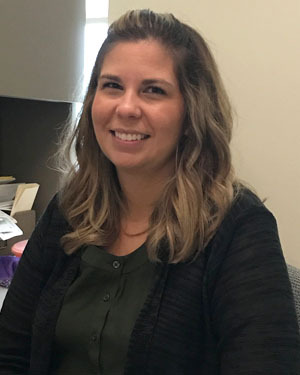 And that, ultimately, led her to Macomb five years ago to teach Reading Strategies and College Success Skills, following a career that began, she notes, as president of her high school’s future teachers club. “I always knew I wanted to teach,” she says. A single mom with three children, one a junior at Purdue University, Mayernik has taught at private schools in Grosse Pointe Woods and Detroit, and at Wayne County Community College. She has also structured a professional development program for teachers in Chicago, provided online learning to students displaced by Hurricane Katrina and served as a consultant for the nation’s leading instructional services provider. Mayernik has received two national awards for her teaching, most recently this year from the National Institute for Staff and Organizational Development, part of the Community College Leadership Program at the University of Texas at Austin. But, the passionate teacher, gardener, kayaker and scuba diver believes that, unlike the migrating monarchs who summer in her backyard, she has landed for good. 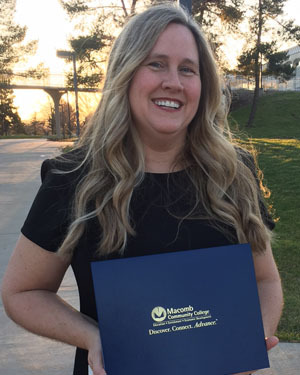 Rochelle Zaranek has earned bachelor and master degrees in social work and sociology, a Ph.D. in sociology, and two post-doctorates in research and teaching. But it was a class assignment while a student at Macomb that would have the most profound of impacts. At the time, teaching was not on Zaranek’s radar. While earning her degrees at Wayne State University, she concentrated solely on social work, serving clients in Detroit’s inner city. And that is why she decided to join Macomb’s faculty nearly 10 years ago, where she knew, at a community college, the emphasis would be on teaching not research. But Zaranek’s efforts to reach students are anything but confined to the classroom. Developing a new pre-social work curriculum, Zaranek purposefully included a service learning component in the same spirit as that life-changing classroom assignment at Detroit Receiving. That evolved into her role as Macomb’s service learning coordinator, assisting other faculty with service learning projects. She also organizes all of the volunteer opportunities offered to students and staff on the Martin Luther King Jr. Day of Service each January and is advisor to the Social Work Student Organization. Spring break is no different and in addition to arranging for students to volunteer at soup kitchens, homeless shelters and food banks during their week off, Zaranek has also taken several groups to Louisiana to assist in post-Katrina rebuilding. Last summer, she capped off a two-year distance service learning project with a visit to three orphanages in Kenya, an African country where more than half of the population live in poverty, for which her students had been collecting notebooks and backpacks. 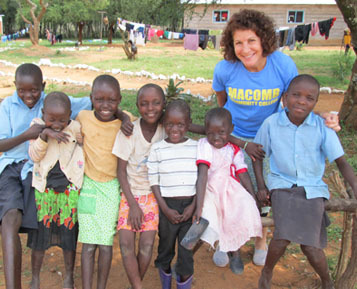 That visit paved the way for a formalized study abroad opportunity, with Zaranek leading the first group of Macomb students to Kenya this past June. For all of these efforts and more, Zaranek has received a 2017 Award for Teaching Excellence from the National Institute for Staff and Organizational Development, an offshoot of the Community College Leadership Program at the University of Texas. But for her, nothing eclipses working side-by-side with her students to make the world a better place. Like a lot of first-year college students, Bradley Wakefield wasn’t sure what he wanted to major in. He started out in business, but disliked how it constrained the curious nature his mother assured him he had been born with. A longtime ambassador for the Michigan Opera Theatre, Wakefield offers his students discount tickets and extra credit to attend performances. He was also instrumental in bringing MOT artists to Macomb for a preview of Little Women and an opera primer, part of his effort to establish an opera club at Macomb. 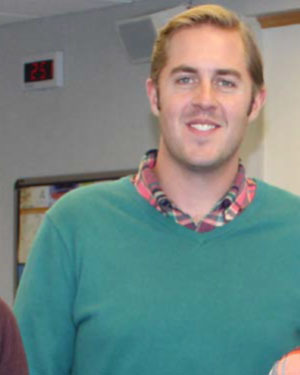 “Students here want the academic life,” says Wakefield, who is often followed to his office after class by students who want to continue a discussion. Both the thorns and their enthusiasm remind Wakefield of his younger self.